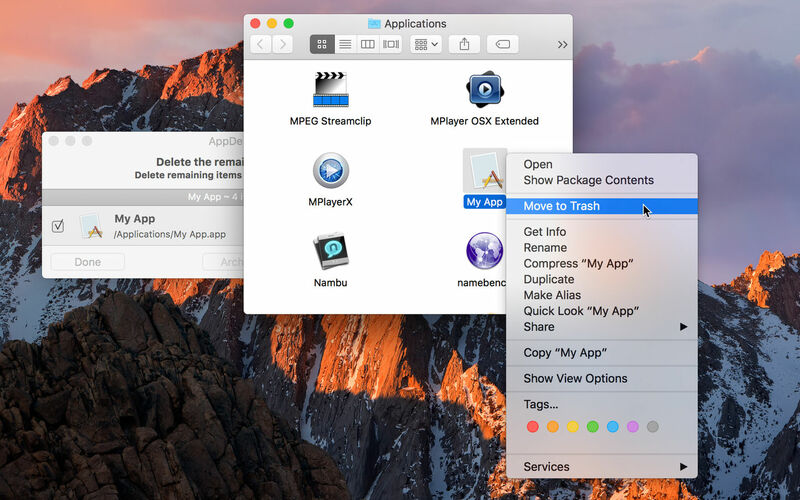 [prMac.com] Anaheim, California - Independent software developer, Reggie Ashworth today is thrilled to announce the release and immediate availability of MAS AppDelete Lite 4.3.2, an update to his very popular application deletion utility for Mac OS X available via the Mac App Store. With a simple Drag & Drop, AppDelete Lite will uninstall anything along with all of the associated items. Mac users will no longer have to hunt through their system to find and delete these items manually. You also have several choices: delete the items, log only the items, or archive (copy) the items to a .zip file for safekeeping or reinstall at a later date. The items you delete will be moved to the trash and arranged in a folder so that you can see exactly what was deleted and you know exactly where it came from. The items will not be removed from your computer until you empty them from your trash. Note: items requiring an administrator password must be deleted manually to comply with App Store guidelines, but this can be done quickly by clicking the reveal button in the AppDelete Lite Info panel, revealing in Finder, and moving them to the trash. There are various options to make your AppDelete Lite experience complete: Quick search panels to help choose items for deletion, various options in Preferences, and more. 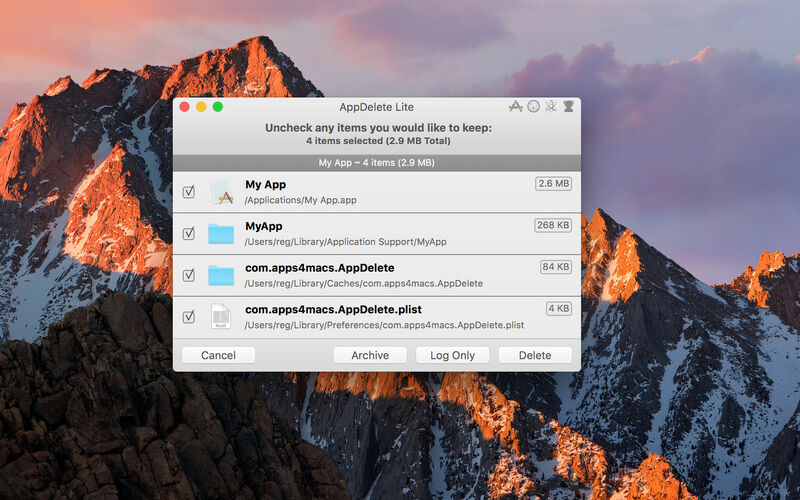 AppDelete Lite is a must-have utility for software tinkerers or beta testers and the perfect companion to any Mac fanatic's toolbox. AppDelete Lite Version 4.3.2 can now archive without compressing into .zip, plus a few fixes and optimizations. For full Release Notes see What's New in Mac App Store. AppDelete Lite supports U.S. English, Chinese, Czech, Danish, Dutch, Finnish, French, German, Italian, Japanese, Korean, Portuguese (Brazilian), Russian, Spanish, and Swedish languages. AppDelete Lite 4.3.2 is only $3.99 (USD) for purchase via the Mac App Store. It is also possible for AppDelete Lite users to upgrade to AppDelete for an additional $3.99 (USD) but only via the AppDelete/AppDelete Lite website. And users running OS 10.6.6 - 10.7.2 will still receive AppDelete Lite Version 3.2.10 from the App Store. Based in sunny Anaheim, California, Reggie Ashworth is an independent software developer whose passion for the Mac platform is only exceeded by his aim to craft simple, yet useful utilities. He is fanatical about total customer satisfaction. Copyright 2006-2017 Reggie Ashworth. All Rights Reserved. Apple, and the Apple logo, and Macintosh are registered trademarks of Apple Computer in the U.S. and/or other countries.